Karyn Ellis » Karyn Ellis and Marina Marina on Tour! 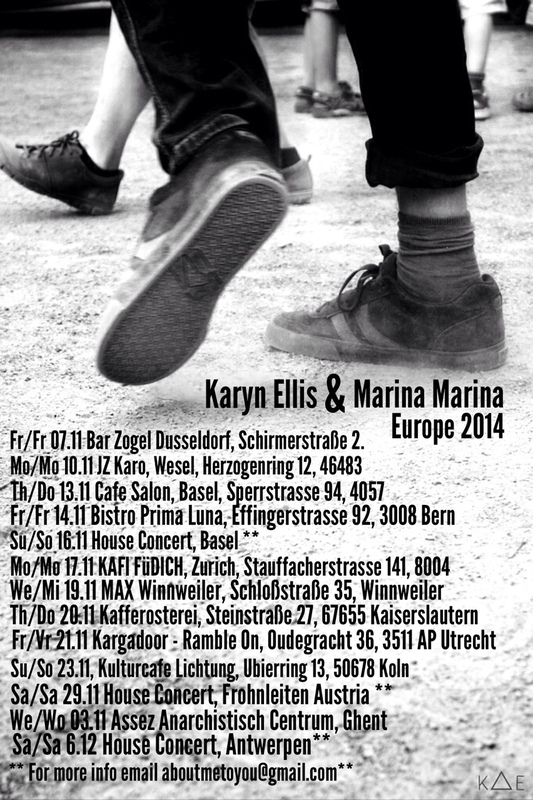 Karyn Ellis and Marina Marina on Tour! Marina Marina made this adorable flyer for our European Tour happening NOW! Click HERE for more details about the shows.